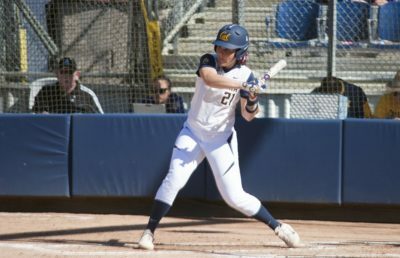 In a weekend bristling with the toughest competition of the season so far, Cal softball took four of five games, improving to 15-1 on the season overall, with its only loss coming against number No. 6 Texas A&M on Friday. In the tournament, freshman Mikayla Coelho, who now leads the team with a .415 batting average, went 7 for 17 with six RBIs. Junior Lindsay Rood also hit well, going 5 for 15 with a stolen base. 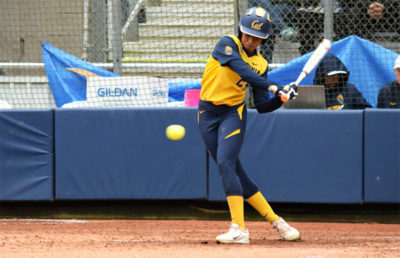 Cal’s pitching staff wasn’t quite as crisp as past weeks, but redshirt junior Zoe Conley and junior Kamalani Dung put the Bears in a position to win almost every time they stepped in the circle. 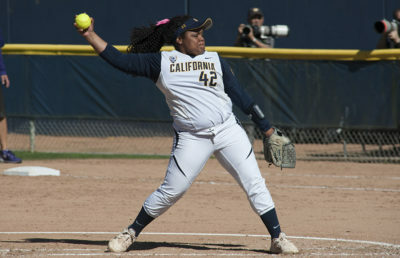 Conley and Dung would throw complete game shutouts against Cal State Fullerton and Cal State Northridge, respectively. North Carolina: The Bears’ first win of the weekend came against North Carolina in a close 4-3 contest. Down 3-1 in the top of the fifth, sophomore Bradie Fillmore jacked a three-run bomb to give Cal a one-run lead. It would be the game’s final score change. Redshirt junior Zoe Conley provided a bulletproof relief effort, allowing no runs in the final two innings to give the Bears the win. Texas A&M: In Cal’s first ranked game of the season, they put up a nice fight against a formidable Texas A&M team, falling by a final score of 1-5. The score hardly told the whole story, as the Bears actually matched the Aggies with eight hits on the day, and they played a good game overall. Cal’s eight batters left on base, however, came back to haunt them, making the difference in this one. Nonetheless, Rood had a fantastic game at the plate, going 3 for 4. Cal State Northridge: At high noon Saturday, the Bears put on a mercy-rule clinic, delivering an 8-0 victory in five innings against Cal State Northridge. Six batters chipped in eight hits for Cal, which now has seven shutouts on the season. Freshmen Sabrina Nunez and Coelho lead the way at the plate for the Bears, going 2 for 2 and 2 for 3, respectively. Cal State Fullerton: In Cal’s second game of the day Sunday, Conley was the difference maker, silencing Cal State Fullerton with a complete game 3-0 shutout. Conley surrendered just four hits, while striking out nine batters. The Bears were also able to string together nine hits, including a home run by senior Jazmyn Jackson. Coelho continued her fine Saturday at the plate with another two-hit game, going 2 for 3 with an RBI. 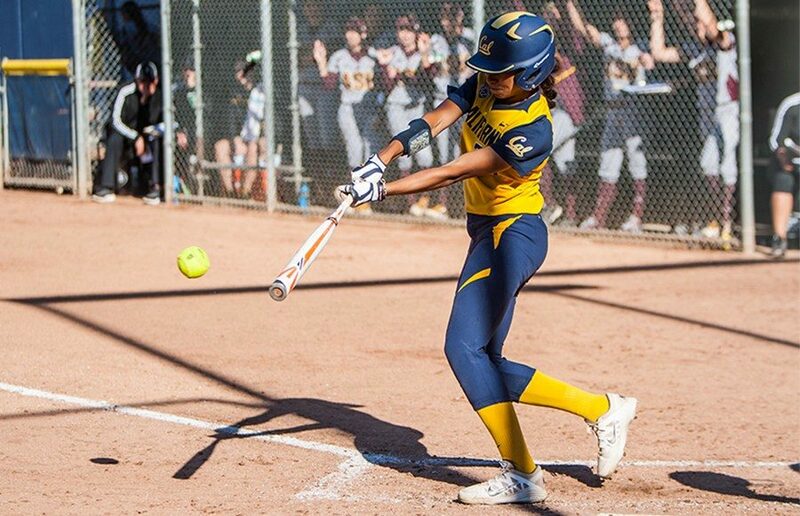 Long Beach State: Cal finished up its weekend with another close game, topping Long Beach State on Sunday afternoon, 6-5. Down 3-0, the Bears dropped a five-spot on Long Beach in the bottom of the third. The game wasn’t over though, as Long Beach was able to score lone runs in the fourth and seventh innings to tie the game. In the bottom of the seventh, Coelho was able to finish off a great weekend of hitting with the crown jewel: an RBI single to walk off the game. “I think today demonstrates that we can play with any team in the country, and it’s very encouraging and a positive sign of how far this team can go this year, and I’m really happy for them,” said head coach Diane Ninemire. With another great weekend of ball behind them, the Bears look forward to a stay in Hawaii starting Wednesday.